The Executive MBA at Opus College of Business focuses on key business fundamentals, leadership development and the international nature of business. Your courses will cover key leadership skills, business acumen and critical thinking. Our rigorous curriculum prepares you to lead in a complex global marketplace. Accelerate your career momentum and gain a strategic, holistic understanding of your organization. Gain tools, strategies and insights you can apply immediately through weekend courses that create an intensive, goal-oriented environment. The Executive MBA curriculum consists of 14 courses that combine online and classroom learning in a cohort model. Students will develop a deeper awareness of important ethical business issues, learn analytical frameworks and practical tools, and gain experience in identifying and dealing with the ethical dimensions of organizational issues and actions from a stakeholder perspective. Questions to be considered: How can managers and leaders understand and make effective decisions about ethical problems, conflicts and dilemmas that surface in organizations? How can managers and leaders build trust and integrity within their organizations? Should an organization help the world in which it lives? What is an organization’s interest in social justice, virtues, principles and values? In addition to Executive St. Thomas MBA courses, students will participate in a course focusing on Executive Leadership Development, which runs throughout the entirety of the program. This course is a unique executive leadership development workshop held during on-campus sessions that offers personal assessment, development opportunities and executive coaching. This course examines fundamental theories about how people behave in organizations and why. Drawing from a well-developed system of knowledge in the social sciences, students will consider organizational behavior from three perspectives: understanding yourself and others at work, creating effective team relationships, and managing organizational human systems. Topics include perception, motivation, conflict, negotiation, power and culture. Complex decisions in an ever-changing environment demand an integration of creative, critical, ethical, rational, strategic and systems thinking. This course explores the impact of psychology, mathematics, statistics and technology on our ability to expand an organizational decision maker’s knowledge base. Innovation in operations management is driven by technological breakthroughs and the ever-expanding global workforce. The operations manager makes decisions regarding systems design, quality, capacity, labor, inventory and logistics in conjunction with marketing and finance. This course will explore existing and evolving theories that will aid the manager in making those decisions. Particular emphasis will be put on designing modular systems that allow for the rapid changes necessary to meet market demands. Focusing on the financial management of doing business in a global environment, this course covers risk, return, evaluation, cost of capital, capital budgeting, long-term financing, capital structure theory, financial analysis and planning, and working capital management. Financial and managerial accounting is integral to the planning, reporting and control functions of every business. This course provides an understanding of the preparation of financial statements, how to use that information to gain insights about the firm, how to forecast future results, and an understanding of some of the global differences in accounting methods. It also addresses the understanding of data accumulation and allocation processes, the proper application of accounting data to solving managerial problems, and an understanding of the strategic implications and limitations of both data and accounting systems. The ability to adapt an organization in response to environmental market and internal changes, pressures and opportunities is a crucial capability for maintaining competitive advantage. The capability requires alignment of employees and key organizational systems with evolving market strategies and customers, which is a complex activity that emerges over time. This course explores how leaders align their workforce strategy with evolving market strategies to sustain retention, engagement, and performance of high talent employees. Topics covered may include: system dynamics, effective change management strategies and approaches, identify and develop high talent employees and succession, strategic redesign of work and the organization, and measuring the return on investment of investing in people. An integrative approach to the formulation and implementation of organizational strategy and policy, this course focuses on organizational performance as it relates to mission, goals and objectives. Students will get practice defining multi-faceted problems and determining their causes; analyzing internal and external environments; reviewing key corporate and business strategies; formulating alternative strategic options; and addressing the challenges of implementation. This course builds a conceptual foundation for understanding and analyzing marketing situations. It examines marketing principles that create and deliver superior customer value and develop long-term customer relationships. Course topics include market planning; segmentation and target marketing; channels of distribution; consumer behavior; competitive analysis; pricing, demand analysis and forecasting; and promotion, sales management and product decisions. Organizations are directly or indirectly exposed to foreign competition and international risks and are affected by international politics, technological developments and global socioeconomic conditions. 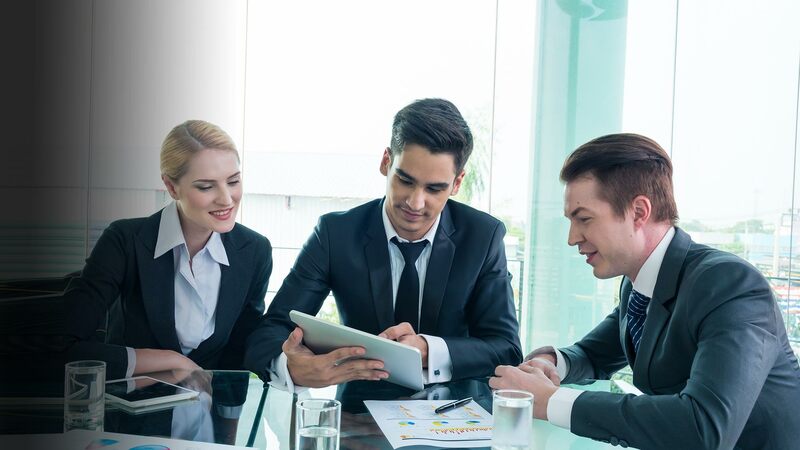 This course applies systems theory to the analysis of the modern firm; employs methodologies such as forecasting, scenario planning and environmental scanning to develop proactive business strategies; and explores the requisite managerial attitudes for effective business management in a global environment. Course includes a 7-10 day international residency. Economic concepts offer a foundation for understanding managerial decision-making within an organizational context and the interactions of organizations in the marketplace. Topics include the theory of the firm, including principal-agent issues and incentive contracts; market (demand and supply) analysis; competitive dynamics and strategy implications; internal and external labor markets; decision making in risk-related environments; and government policies affecting management decisions. The U.S. and market based economies will be considered in a global context. This course addresses governance systemically in both profit and nonprofit organizations within a global environment. Using case studies, students will examine governance concepts, theory and practices, rules and regulatory frameworks in multiple cultures to identify, manage and implement corporate governance processes in organizations. Explore the personal, social, and professional challenges of leading people in complex organizations. Using ideas, tools, individual reflections, and peer support teams provided to help you develop, implement, and refine your leadership style, competencies, and purpose.